Author : H.C. Allen, MD. Author of Keynotes and characteristic of materia medica, materia medica of nosodes, and therapeutics of fever. Classification: Coming under the category – clinical repertory on the clinical condition intermittent fever. There are two prefaces given in this book one for the first edition and the other for the second edition. Begins with a coating from Hahnemann’s “medicine of experience”. “ After he has found all the existing and appreciable symptoms of the disease, the physician has found the disease itself. He has a complete idea of it and knows all he need know to cure it”. Introduction consists of few important essays. These essays include “ The cause”, “Malarial theory”, “ Psoric diathesis”, “ Examination of the patient”, “ Genus epidemicus” etc. Materia medica part — given as two sections. First section begins with Aconite and ends with Veratrum album. This part consists of 116 medicines. 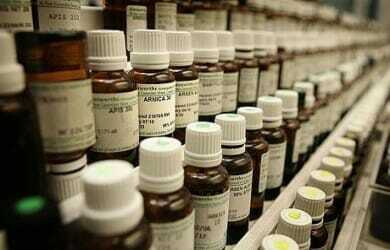 Total number of medicines in materia medica part is 147. 1. Type (of fever)—Quotidian, tertian, yellow fever, typhoid etc. 2. Time –12 – 2 am, 2 – 4 am etc. Comparison –under certain drug like Ars alb, Capsicum etc. a comparative study of most similar drug is given. E.g. :- in drug Capsicum; Eup. purp. compared with capsicum. in drug Ars alb; Cinchona compared with Ars alb. Analysis – under analysis he mentioned most important characteristic symptoms of the drug in fever. Clinical — a separate clinical section is given at the end of each drug where examples of cases treated either by him or by others with that drug are mentioned. The mode of construction and the arrangement is the same as that in the “ Therapeutics of fever” by the same author. One new feature is added to this work in the sub rubric level. Instead of repeating each word of main rubrics, the sub rubric begins with small lines (—-), which indicate the words in the preceding line. It contains 147 medicines and has 31 chapter starts with “ chill-type” and ends with the chapter apyrexia symptoms during. B) Heat consists of 7 chapters. 17. Afternoon without chill – Anac. No repetition of same rubrics as in the case of therapeutics of fever. It contains many additional rubrics when compared to other repertories. Whole febrile condition is divided in to four stages i.e. chill, heat, sweat and apyrexia. Each of this stage further subdivided into type, time, location of, cause etc. There by the selection of the rubrics become more accurate and easier. No definite pattern or order for the arrangement different chapters. Number of medicines is less when compared to Murphy or other modern repertory. Even though grading is given as bold, Italics and ordinary letters, there is no information about it s mark. Rubrics are given in alphabetical order but in some places order is not followed. Eg: – under the chapter “Chill- type” the rubric- Fever, without chill, returning at is given in wrong alphabetical order. No introduction for repertory part.